"Cambridge educated me, taught me how to live, and how to contribute to the world." "I first met Professor Alexander R. Todd in India in 1953. When asked if there were any special qualifications required for admission to Cambridge University, Professor Todd replied 'We have no rules, we admit anyone whom we consider suitable to be a student.' My Father then asked 'Can I send my son to Cambridge?' and the immediate reply was 'He can join in October, 1954.' Things have changed a little since then! At Cambridge, Professor Todd (later Lord Todd) transformed my experience of science, and became my mentor and eventually my friend. I have never forgotten the lessons I learned from him, and even today I still use my old chemistry notebooks when developing new syntheses of drugs." Dr Hamied came to Cambridge to study Natural Sciences in 1954, and stayed to complete his PhD with Lord Todd. Later, as CEO and Chair of the Indian pharmaceutical firm Cipla, Dr Hamied campaigned to provide low-cost generic antiretrovirals to people primarily in sub-Saharan Africa with HIV and Aids, reducing the cost from \$15,000 to \$350 per year, or under a dollar a day. These actions saved millions of lives, and were memorialised in the internationally acclaimed documentary Fire in the Blood. 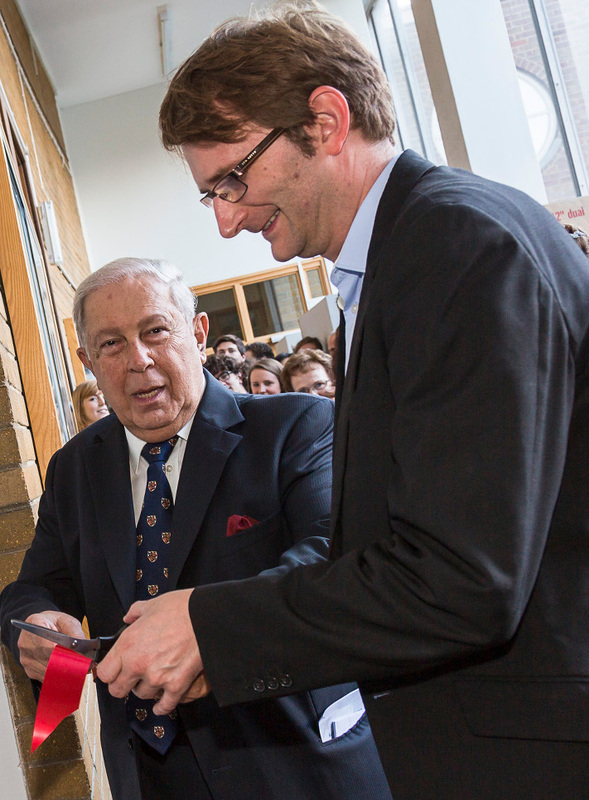 Dr Hamied has donated generously to the Department of Chemistry in many areas, including the creation of the Todd-Hamied Meeting Room, named in honour of Lord Todd, and the Yusuf Hamied Laboratory for Chemical Synthesis & Catalysis, which opened in September 2015. In recognition of his pioneering and socially conscious actions, Dr Hamied was awarded the first ever Department of Chemistry Alumni Medal in 2016 "for services to the community that have brought honour to the Department of Chemistry."